Dashboard reports, are no longer a buzz word, they’re a standard reporting tool for all kinds of industries and they’re an in-demand skill for Excel users everywhere. In fact, IBM project that the number of jobs for all data professionals in the United States will increase by 15% by 2020. Demand for Data Visualization skills alone is projected to grow by 44% and PivotTable skills by 34%. That’s great news for us Excel and or Power BI users. 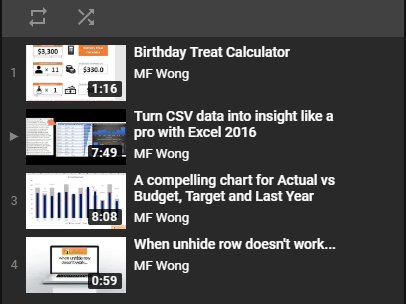 The benefit in having Excel Dashboard skills, aside from the kudos from your boss and colleagues, is that these skills are often transferable to your everyday Excel work. Many Excel users already have the skills required to build interactive Excel Dashboards, they just need to be shown how to put them together to build a dashboard report. Interactive charts that allow users to cross highlight and filter by clicking on the bars/lines in the charts etc. See for yourself in this replay of Mynda’s Power BI webinar where she builds the two dashboards shown above in under one hour. 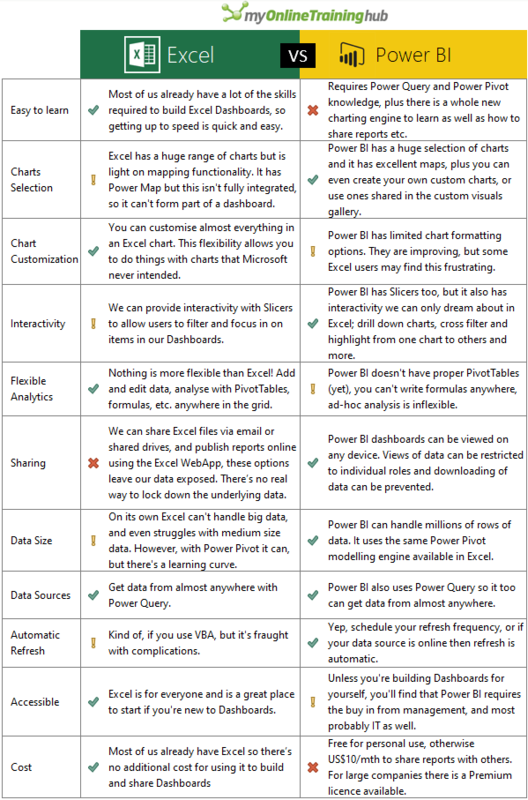 So, will Power BI be the death of Excel dashboards? Not necessarily. Excel is already on almost every PC around the world and the learning curve for Excel dashboards is relatively shallow. Whereas Power BI has a steeper learning curve, plus there is an additional cost for certain features. 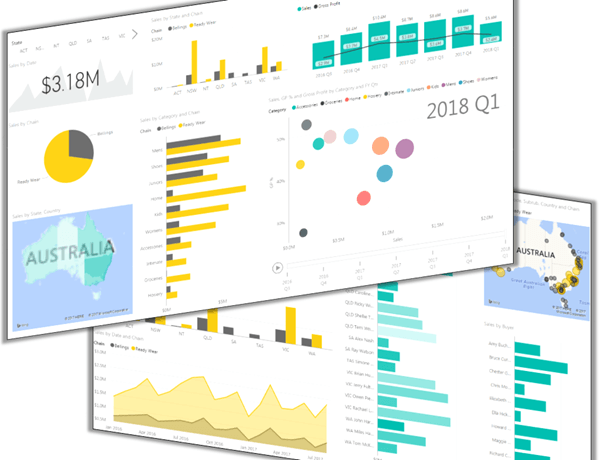 To get you off to a running start Mynda is hosting a series of free webinars from January 30 to February 8 to teach and demonstrate Excel and Power BI for building dashboards. Feel free to forward this email to your friends and colleagues and invite them to attend Mynda’s free Dashboard webinars. They’ll thank you for it. Disclosure: I make a small commission (at no additional cost to you) for students who join Mynda’s course via my site, but as you know I don’t just recommend anything and everything. It has to be of outstanding quality and value, and something I can genuinely recommend. After all, if it doesn’t live up to what I’ve promised you’ll think poorly of me too and I don’t want that. Oh, and just watching the course videos won’t transform your career, you have to actually put it into practice, as if reading a cookbook won’t make you a chef. 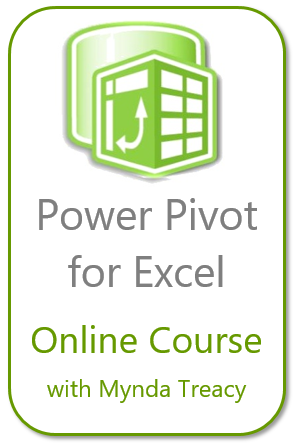 This entry was posted in General and tagged Dashboard, Power BI, Power Query, Training. Bookmark the permalink.